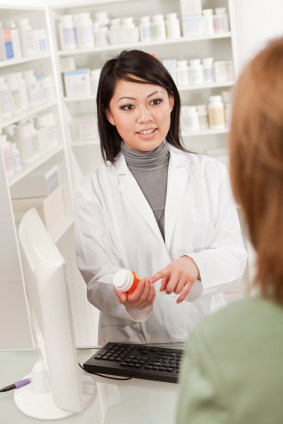 If you are a new patient to Living Room Pharmacy, we would love to meet you! Either bring your prescription into the store or have your physician fax it to us. Living Room Pharmacy can dispense prescriptions written by licensed prescribers in British Columbia and Canada. For your own safety, however, we do not adapt prescriptions for, or mail prescriptions to, unknown clients. Living Room Pharmacy subscribes to the BC College of Pharmacists "Best Practises" and takes your health care very seriously. We want to work closely with your prescribing physician, naturopath, midwife, veterinarian, or dentist, in order to ensure that you benefit as much as possible, with as little risk as possible, from your medications. If you already have prescriptions on file with us, please check out our Prescription Refills & Transfers information page, the action button below, and read the special refill Terms & Conditions that are linked at the of your refill or transfer request. As always, if you have any questions about your prescriptions, please call us, or check out our FAQS page for "Frequently Asked Questions."